Size: 11.25 x 15.25 ins. Description: No colophon. Bound in quarter leather with patterned paper covered boards. Title stamped on spine. Size: 9.5 x 11 ins. Description: [9pp.] Set in Centaur type. 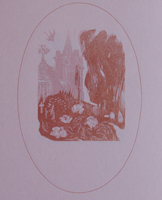 Printed on pink Abbey Mills paper. 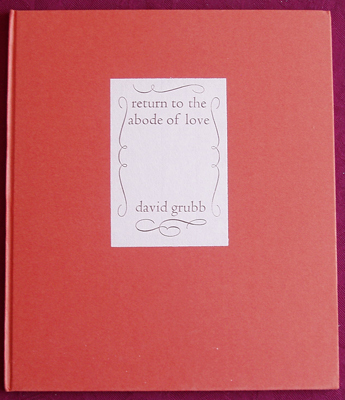 Bound in orange paper over boards with a printed label to the front cover. Comments: Colophon printed at the front of the book. Signed by Nicholas Parry and David Grubb. Size: 9.75 x 14.75 ins. Description: [44pp.] Set in 14pt Caslon type. Printed on Glastonbury paper. Bound in cork over board with a brown linen spine.Black end-papers. Comments: Title-page states 1980 but colophon states 1981. Based on BM MS Add. 41175 of circa 1380 translation into the Midland dialect of English by John Purvey, an associate of Wycliffe.Signed by Nicholas and Mary Parry. Description: [44pp.] Set in 14pt Caslon type. 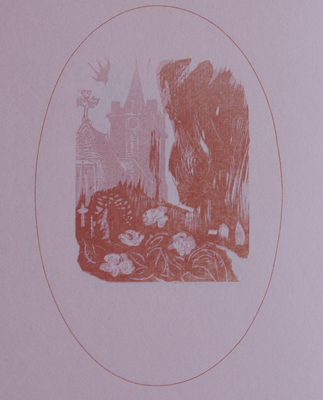 Printed on Hayle paper. Bound in cork over board with a black calf spine. Black end-papers. 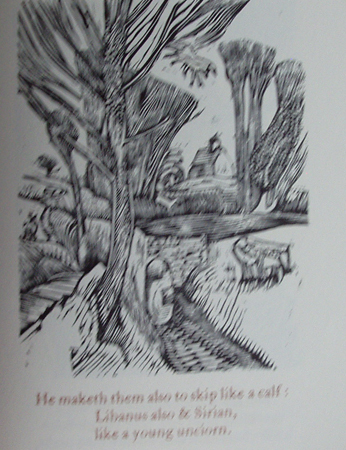 Illustrations: 7 wood engravings, printed in black by Nicholas Parry. Comments: Title-page states 1980 but colophon states 1981. Numbered 1 to 60. Based on BM MS Add. 41175 of circa 1380 translation into the Midland dialect of English by John Purvey, an associate of Wycliffe. Signed by Nicholas Parry. Description:[20pp]. 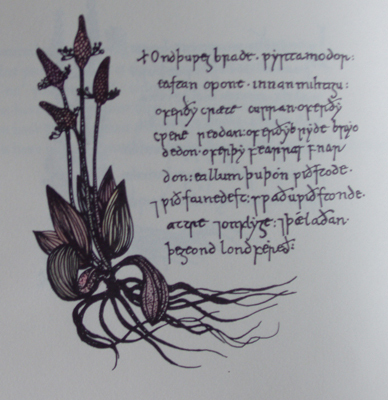 Set in Blado type. Printed on Basingwerk paper. Quarter bound in cream cloth with decorated paper covers. 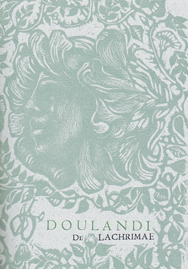 A printed label to the front cover and spine. Size: 6.75 x 9.5 ins. Description: [31pp.] Set in 16pt. Poliphilus type. Printed on Basingwerk parchment paper. Bound in brown paper covered boards with a printed paper label to the front cover. Light borwn end-papers. 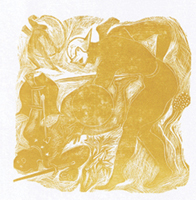 Illustrations: Script & drawings by Mary Parry, printed offset-litho. Drawings hand-tinted. 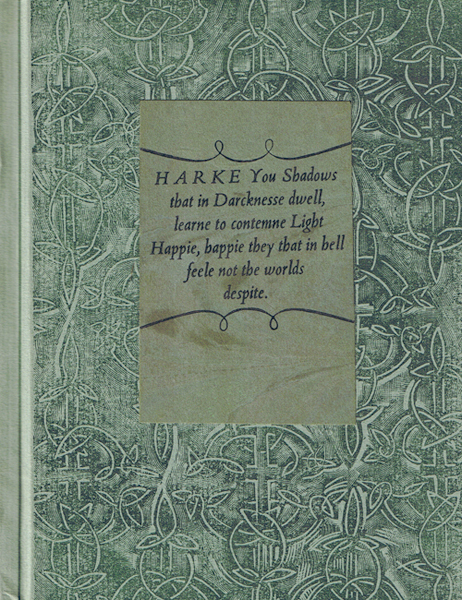 Comments: An additional 100 copies were sold in sheets.Signed by Mary Parry and Bill Griffiths. Size: 4.75 x 6.5 ins. Description: [24pp.] Set in 14pt. Poliphilus & Blado type. 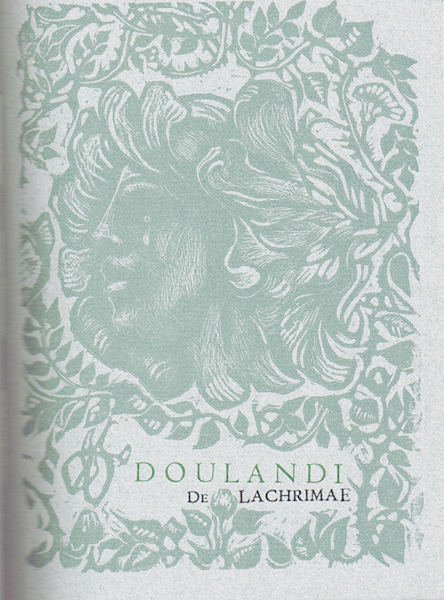 Printed on green Zercal paper. 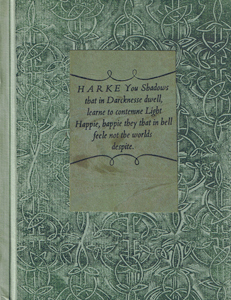 Quater bound in pale green cloth with title printed in black on the spine with decorated green paper covered boards with a printed label to the front cover. Grey end-papers. Illustrations: 6 illustrations by Nicholas Parry. No. of Copies: 85 copies. Size: 5.25 x 7.5 ins. Description: [47pp.] Set in 14pt Caslon type. Printed on Zerkall paper. 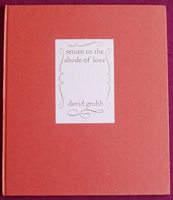 Bound in pink paper with a design in red over boards with a black leather spine with gilt lettering. Pink end-papers. 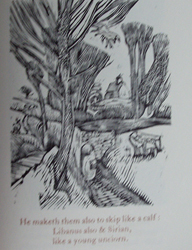 Illustrations: 42 wood-engravings by Nicholas Parry. No. of Copies: 175 numbered copies. Comments: Signed by Nicholas Parry. No. of Copies: 50 copies.